Our specialised floor is unlike many of the other wooden or hard floors commonly used in marquee design. We can use this system to level the marquee floor and create a high quality finish onto which we can lay carpet in almost any colour or alternative flooring finish such as decking or laminate. 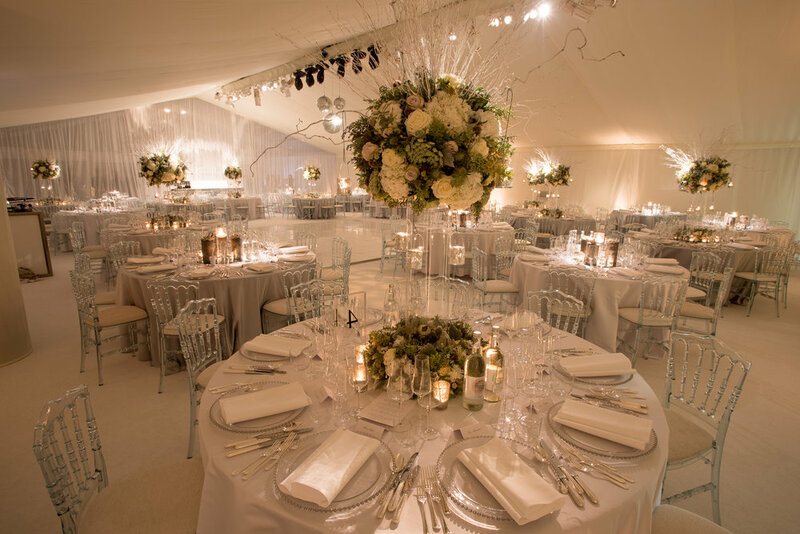 When we install our specialised flooring, the floor itself and the marquee are built using an interlocking system that not only makes the entire structure even sturdier but also allows us to create all sorts of exciting elements within the marquee. Our certified and experienced team regularly use our flooring in combination with our jack grid scaffolding system. 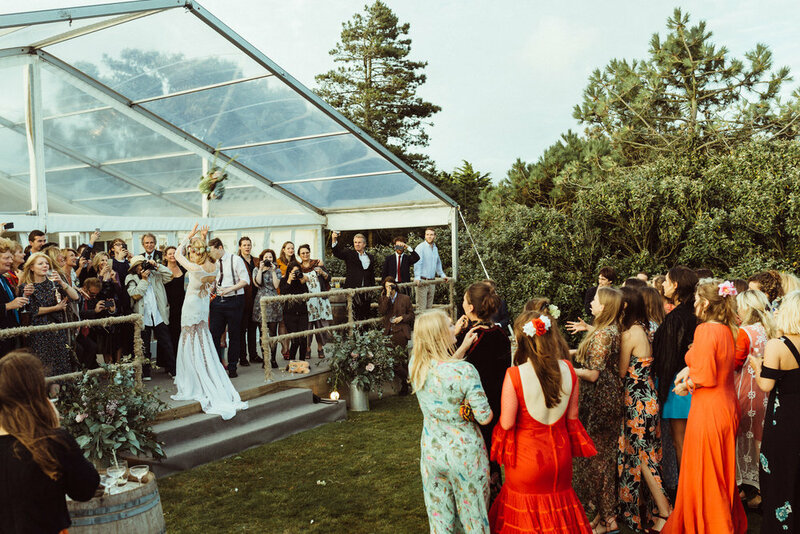 This enables us to build marquees onto very uneven ground or even steep slopes and we can build in features such as dramatic split levels, raised DJ podiums, sunken dance floors, balconies overlooking beautiful vistas and see-through dance floors over swimming pools. Have a look at our gallery and case studies pages to see some of the amazing installations we have created in the past. Over the last 22 years we have built up quite a collection of linings in a rainbow of colours. We have both flat, which are hand steamed on installation at every use by our team, and pleated, classic ivory linings. The ivory linings create the perfect blank canvas for any wedding or party marquee look and we pride ourselves on regularly renewing and replacing our linings to ensure the finish is always impeccable. Our starcloth roof linings can create a breathtaking starlit ceiling in your marquee- perfect for creating an al-fresco dining experience in any weather. We can tailor your linings to your marquee allowing you to create a totally unique event. Please take a look at our gallery page to see some of the gorgeous colours we have used in our marquees in the past.